1. 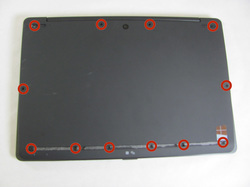 Turn the Sony Vaio Pro 13 laptop upside down, locate and remove the twelve 1mm Phillips #0 screws securing the back cover to the main body of the computer. 2. 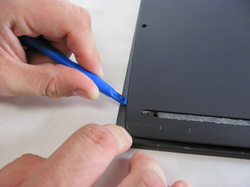 Use the Plastic Opening Tools or Metal Spudger to carefully loosen back cover from the body of the computer. 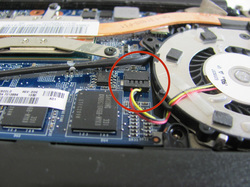 Notice: Be sure to avoid headphone jack when removing back cover by lifting cover away from computer and up. 3. Lift off back cover to access inner components of computer. 4. 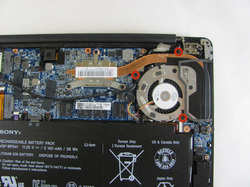 Remove the three 1mm Phillips #0 screws surrounding the fan. 5. 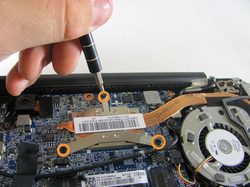 Loosen the three 1mm Phillips #0 screws. These screws will stay captive to the heatsink. 6. 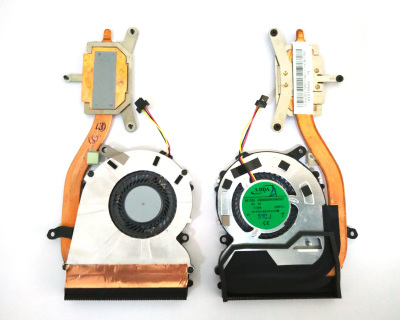 Use tweezers to carefully unplug the fan connector..
7. Use the Plastic Opening Tool to gently remove fan from the computer..
8. 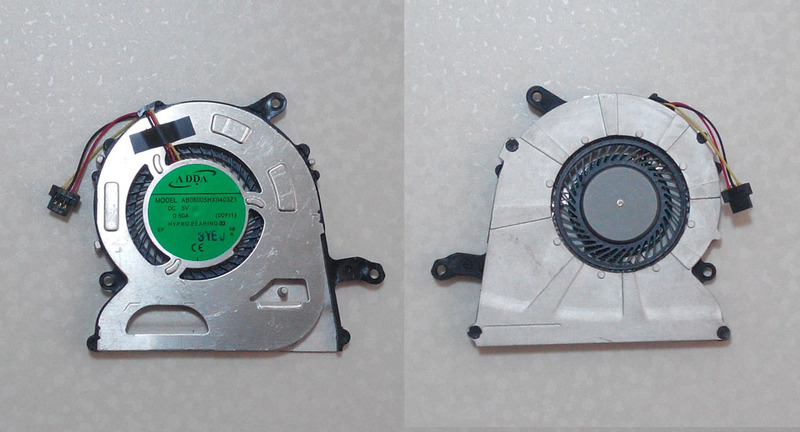 If you want to replace the fan only, you could remove the fan from the heatsink. 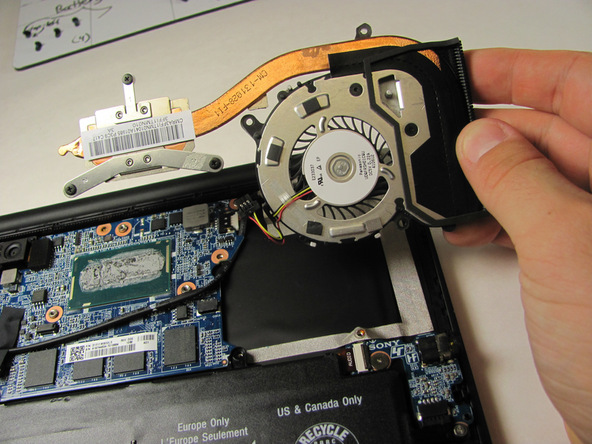 Reverse the procedure to install the new Sony Vaio Fit 13 SVF13 SVF13A SVF13N fan﻿.